KMB is completed through the professional assembly and hand scrapping skills. 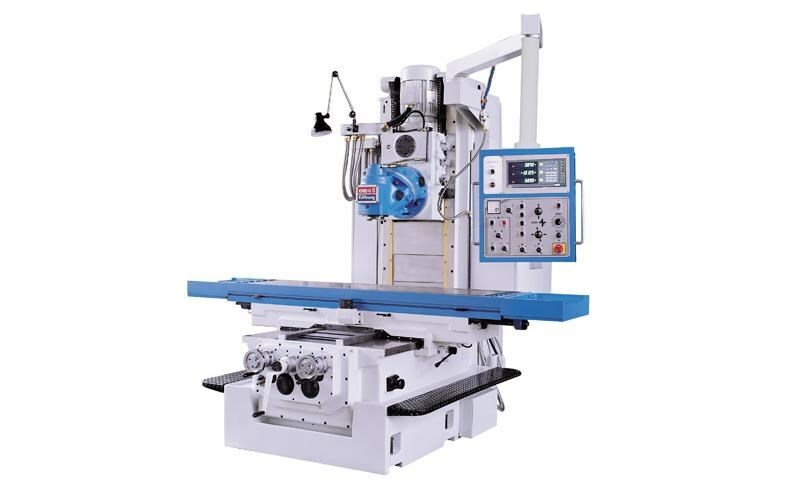 The KiHEUNG`s unique Huron system consisted of up head and low head can be turned to any desired angle and also vertical, horizontal, combined angle milling is available. 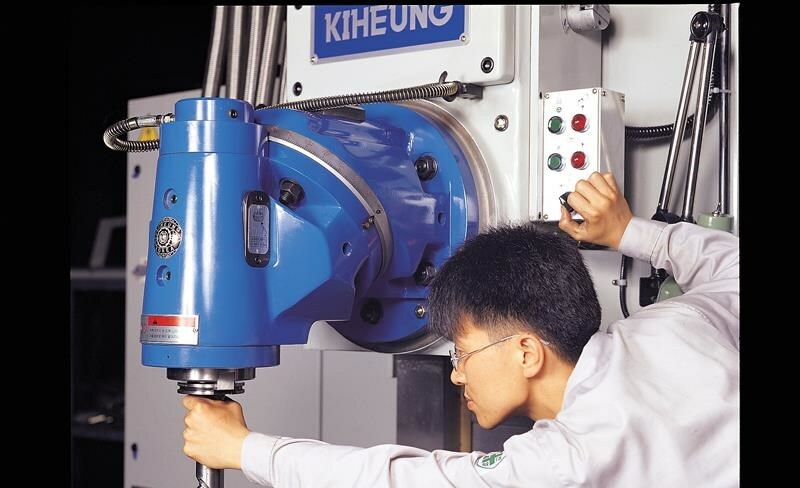 The column is of a rugged box-type construction and its ground slide ways are wide to support and guide securely the spindle head. (The column of KMB-U6 and KMB-U7 is hardened and ground), the bed is composed of one piece construction with double box for lubrication oil and coolant. 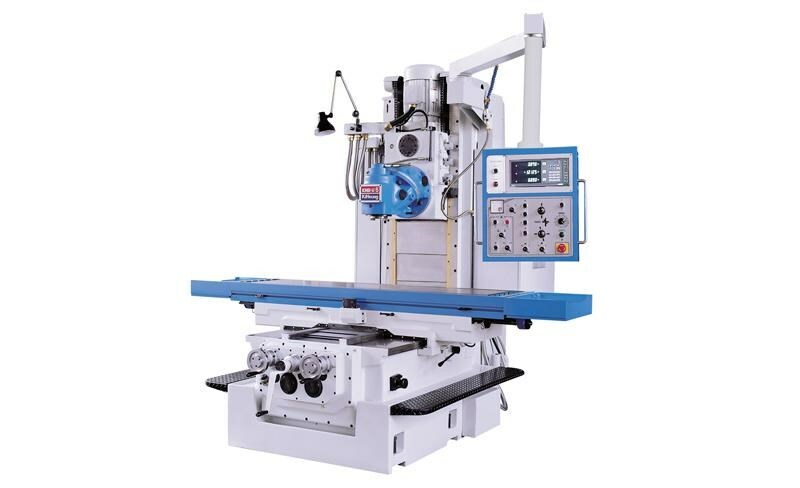 The hardened and ground slide ways of the bed provide high stability to the saddle, the saddle has a rigid box-type construction to cope with loads during heavy-duty cutting. 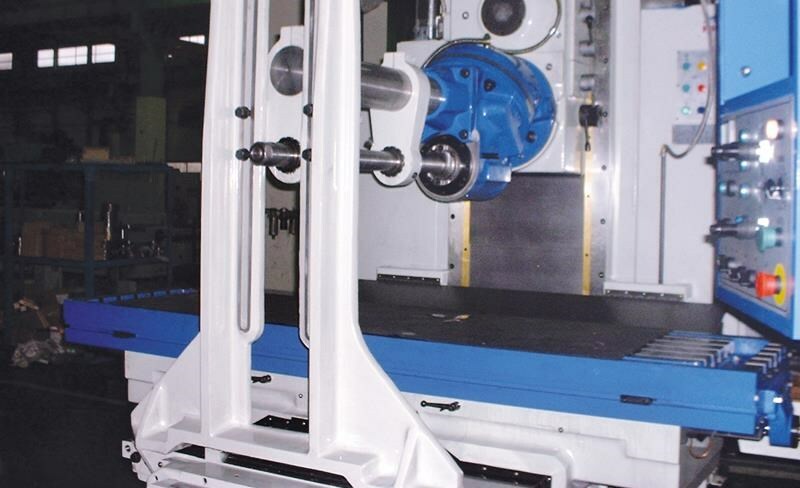 It is supported by the wide slide ways of the bed to assure stale movement and the Biplast(anti-friction material) ensures the smooth movement of the axis. 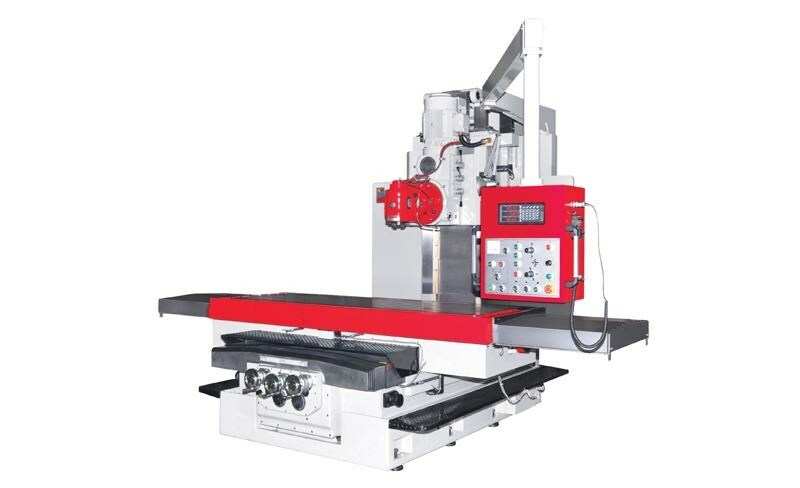 Also an AC servo motor is adopted for infinitely variable feed movement, so feed change by dial on a panel makes easier operation and appropriate choice of feed speed.